A blog post two days in a row? What is this madness? I hear you cry! Well, it’s exactly a month until my 34th birthday (HELP!) so I thought I’d better check what progress I’ve made on my 35 before 35 list since my last check in – which was in January, apparently. I was up to 18 last time, and now I’m on a grand total of…. *drum roll* … 19. Yeah. I read A Sense of Style by Steve Pinker. I reviewed it yesterday. Last time I was up to 22, and now I’m on 24. So a whole 2 for this category. Die Stille Braut by Barbara Wenken (okay) and Märchenwald by Martin Krist (really good!). I’d read 46 last time and now I’m on 56! Finally some real progress. I’m not going to list them all, so you can see all the Big Read books I’ve read here. I have 67 left to read… theoretically it’s possible, as long as I stop reading everything else! I haven’t written a post on it yet, but I did loom knit a bunch of tiny hats (too small for even a newborn, but recognisable as hats) and one and a half socks for myself. Loom knitting isn’t exactly knitting, but the items are made of wool and look knitted so I’ve decided it can count. I had made it to 29 last time… and now I’m finished! I’ve actually managed to watch all six of the films I still needed this year. I completed this item by watching Kajaki. You can see what else I’ve watched here. Number 34: Drink champagne in Champagne. Woohoo! I actually did this. Thank you Germany and your ridiculous amount of public holidays in the spring! I wrote about it here. So, I have made some progress on the reading front, discovered a new hobby in loom knitting (because I totally need even more sedentary hobbies with the way the scales are looking! ), crossed off one more travel item and actually managed to watch films for a change. With one year and one month to go, I obviously won’t manage everything (especially not all the travel-related items) but hopefully I will at least get all the reading crossed off. Wish me luck! I had read 12 by last June and I’ve now reached 18. I’m not going to list all 6, but you can see them here. 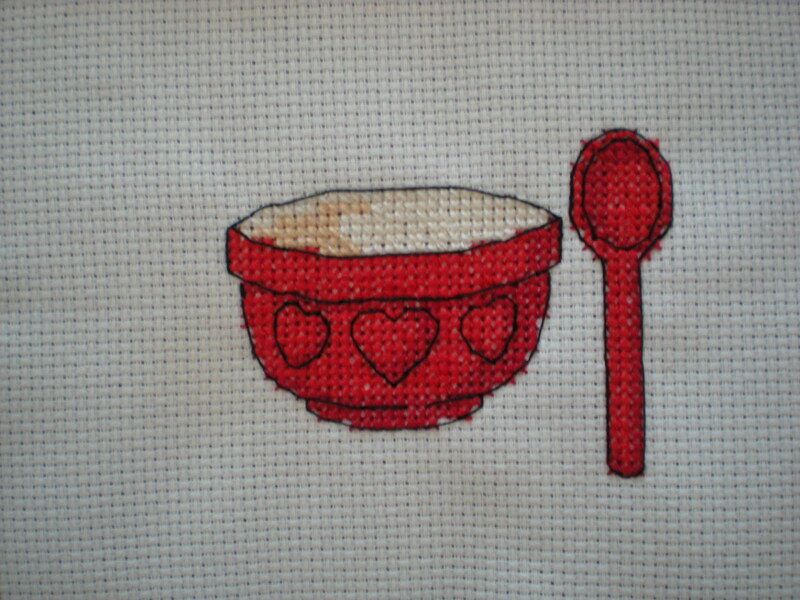 I need to get cracking with this one if I really want to complete by the time I turn 35! (Next year, by the way. Aarghh!). Last time I had read 21, now I’ve read 22. Huh. I read Emmas Geheimnis by Liz Balfour, which would have been better if it wasn’t so predictable. I had only read one book in German between the last progress report and the one before that as well. Must try harder! I was on 6 before and now I’m on 7. The seventh was chocolate Christmas biscuits. I’ve been trying very hard to incorporate BBC Big Read books into all my challenges and have managed to increase my number from 27 right up to 46! And one of those was the ridiculously long Shogun. You can see the full list here. I now have less than 100 to go… 86 to be precise. Last time I was on 27. I’ve watched two more since then: Mirrormask and Paddington. Six more to go. Watching films should not be this difficult! And that’s everything. It doesn’t seem like much for six months! Apparently I’ve mostly just been reading. I had to go all the way back to the progress report before last to see where I was up to before! I had previously read six non-fiction books, now I’m up to 12. I had actually read Swiss Watching by Diccon Bewes, Victorian London by Liza Picard and Dear Fatty by Dawn French last time I updated, but apparently forgot to include them in my progress report. Since then I’ve read Everything You Wanted to Know About Rugby But Were Afraid to Ask by Iain Macintosh (which I actually bought for Jan) and Borderland: A Journey Through the History of Ukraine by Anna Reid. I had read 20 last time, now I’m up to 21. I read Apfelrosenzeit by Anneke Mohn. It was okay but not brilliant. Again, I had to go back to the time before last. I didn’t say how many types I’d baked them though, but research tells me it was 4. I’ve since baked Spiced Oat Cookies and Maple Pecan Nut Cookies, which makes six. Four more to go! My dad actually managed to get us tickets for three rugby matches during the world cup in England, so I’ve more than completed this one! So, I originally excluded Karlsruhe and Durlach since I lived there and the idea was to go further afield. Based on the same principle, I excluded Basel last year. But I still managed to complete this item: I had been to two already so Colmar, Rheinfelden and Bern last year makes five. I’d managed 18 last time (which was only 2 more than the previous check in). Thanks to a looong flight to New Zealand and back, I’ve actually managed a few more since last year and I’m now up to 27. Woo hoo! 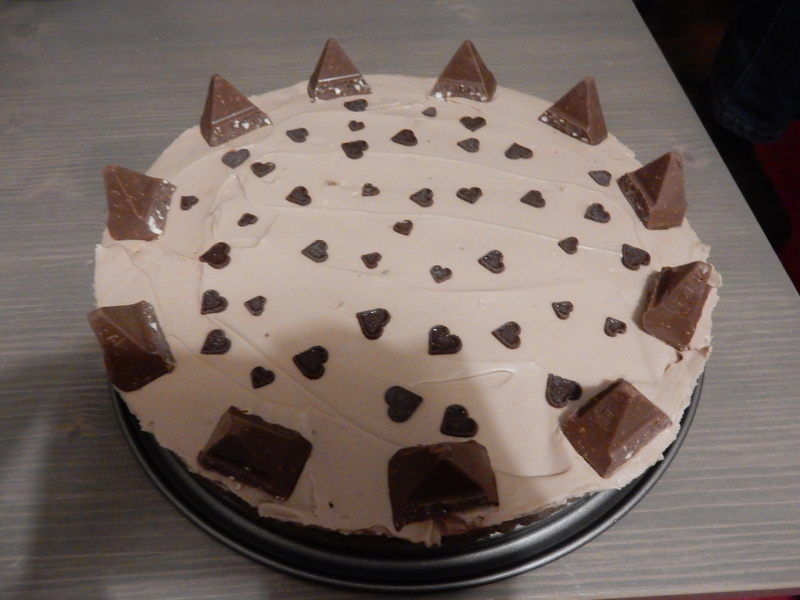 I made a Toblerone cheesecake for my leaving party. It was delicious! I had read 17 books in German last time I updated, and now I’m up to a whole 20! I read Die Nacht des Zorns (original French title: L’armée furieuse) by Fred Vargas (thank you to the winter reading challenge for that one! ), Liebesfluch by Beatrix Gurian (also read for the winter reading challenge), MUH! by David Safir (a Christmas present) and Apfelrosenzeit by Anneke Mohn. I hadn’t been to any Christmas markets the last time I updated, so this is a new category! 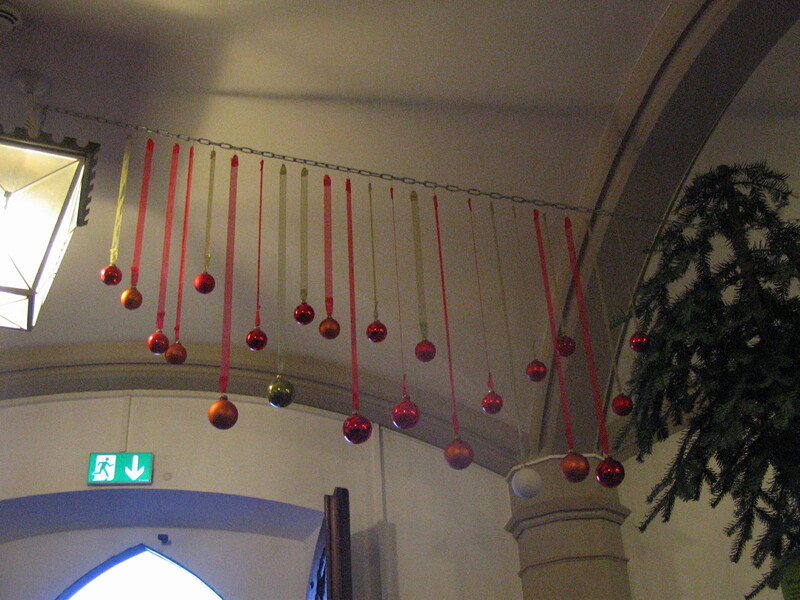 In December 2014, I went to the Christmas market at Burg Hohenzollern and the one in Speyer (those are links. Click them.). I was up to 16 last time, and now I’m on 18. Since October, I’ve watched Birdman (weird!) and Rush (really good). I did this right before I left Karlsruhe, in April. I’m glad I had it on my list because it was an amazing day out! Read about it here.